9.0" x 6.5" stitched on 14 count. 7.0" x 5.1" stitched on 18 count. 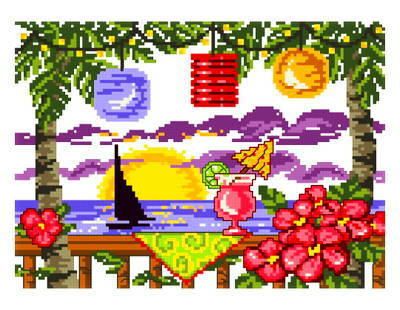 Tiki Lights cross stitch pattern... It's 5 o'clock in your home when you see this design on your wall.